It was 15 novels ago that we first met Mma. Precious Ramotswe, proprietress of the No. 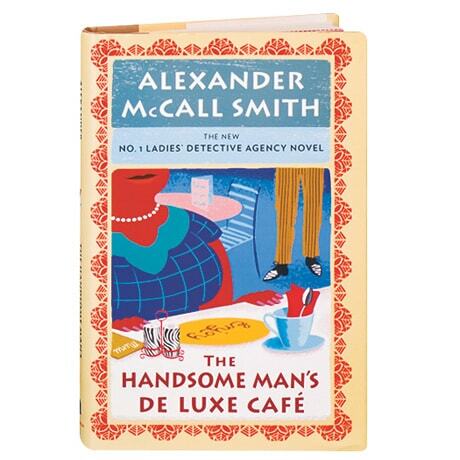 1 Ladies' Detective Agency in Botswana, and the series has lost none of its warmth and charm. Mma Ramotswe's agency has often helped people to find things that they have lost, but has never before had to help a client find herself. A kindhearted brother and sister have taken in a woman known only as "Mrs."—a woman with no memory of her name or of how she came to Botswana. Meanwhile, motherhood proves to be no obstacle to Mma Grace Makutsi's professional success, though the same cannot be said for her new enterprise, the Handsome Man's De Luxe Café, a restaurant for Gaborone's most fashionable diners. And next door to the No. 1 Ladies' Detective Agency, Mr. J.L.B. Matekoni is finally forced to make a tough choice, one that will bring major changes to both Tlokweng Road Speedy Motors and the No. 1 Ladies' Detective Agency—and that will require all of Mma. Ramotswe's finesse and patience to sort out.